Deciphering Parakeet Sounds: What's Your Budgie Telling You? 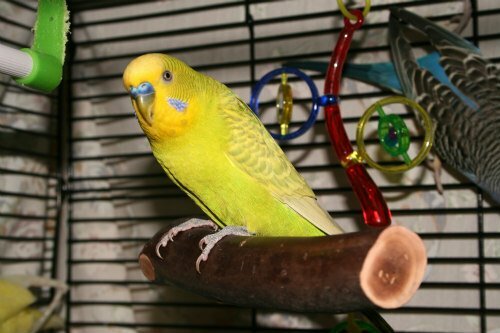 Understanding Parakeet Noises: What's your budgie telling you? Keeping birds as pets can be a wonderful experience, especially if they’re small songbirds. Their constant chattering and the sweet music they produce can make for cheery mornings and afternoons when the weather outside is otherwise not so great. One very popular bird that is often kept for its playful antics and flurry of activity is the parakeet. Budgies, as they’re commonly known, can provide hours of entertainment as they go about their day and create quite a racket, but have you ever wondered what it is they’re trying to communicate? Read on and you’ll find out. These brightly colored little birds are masters of noises that encompass a wide variety of vocal ranges and tones. With these noises, and by observing their body language, you might be able to pick up on how they’re feeling or what they’re trying to communicate. By paying close attention to them over a period of time, you should be able to start deciphering their moods and whether or not something is bothering them in the long run. For instance, if they’re perched idly in a relaxed or chill-type manner, chances are they are in a state of happiness. Besides talking and singing, parakeets make chirping and screeching noises. Singing is a definite sign of happiness along with chattering. When your budgie is partaking in either of these activities, they’re telling you they’re content in their surroundings. 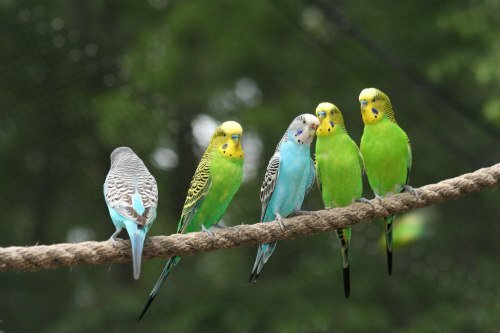 Parakeets will often sing as a group. When they all join in you’ve got one big happy family and it can be an indication of the overall health of the flock. Longer chirps and low, quiet songs are also signals of happiness and contentment. It just means they’re feeling peaceful and at ease. On the other hand, flapping their wings frantically or constant pacing most likely indicates that they’re experiencing some form of stress or agitation. When this is occurring, take note of the sounds they’re producing. They should differ in pitch and intonation from when they’re happy. Once you pick up on these subtle differences in tone in addition to their body language, you can apply the knowledge to future situations when you’re unsure about what’s going on with them. After a while, you won’t need to be hit over the head with a hammer to understand the signals. 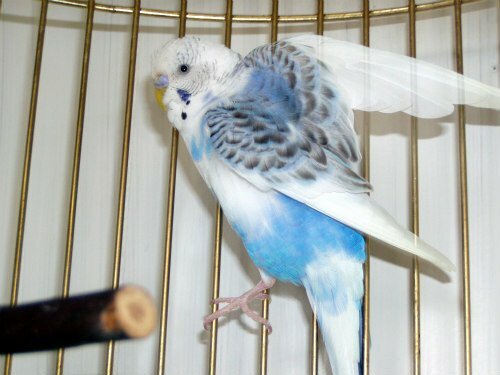 When your budgie is in distress, he or she may make hissing noises or low screams. The low scream shouldn’t necessarily be confused with loud, raucous screeches. Sometimes those are just displayed in fits of activity. Birds can become boisterous at play and when they’re asserting their position. But hissing or a low screech could be signals of stress or even pain. If your parakeet displays unusual or abnormal body language in conjunction with these negative budgie sounds, keep an eye on them. If you suspect stress, cover their cage for a while. If you don’t see any improvement by the following day, it may be time to see your vet.